Victoria Park & East London property specialists. Locally based Currell Estate Agents are experts in Victoria Park properties providing sales, rentals and management services. 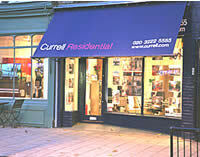 Currell residential is an independent, family owned estate agency which was originally founded in 1990. 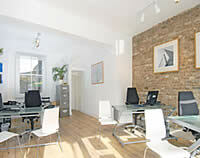 Situated within the heart of Victoria Park village is one of our four residential offices. With experienced and approachable members of staff who both work and live locally, this enables them to pass on their extensive knowledge as well as keeping you up to date with the current market conditions. Whether you want to buy, rent, let or sell a property in London, Currell will provide you with a professional and personal service from start to finish. Our knowledgeable and experienced team ensures our clients’ properties are beautifully presented and given maximum exposure, so selling or renting your property is as quick and seamless as possible. Our offices cover the areas of Victoria Park, Hackney, Islington, and Clerkenwell. In addition to this, we also have a New Homes department which specialises in the sale of property both within the UK and overseas. Currell also has the added benefit of Property Management, Professional and Commercial departments, helping to bring in buyers and tenants from a wider area than you would usually expect to see from your local agency. Experts on Victoria Park, Hackney, Islington, and Clerkenwell.